Nos offres pour les groupes et C.E. Welcome to our website dedicated to touristic flight in microlight aircraft. 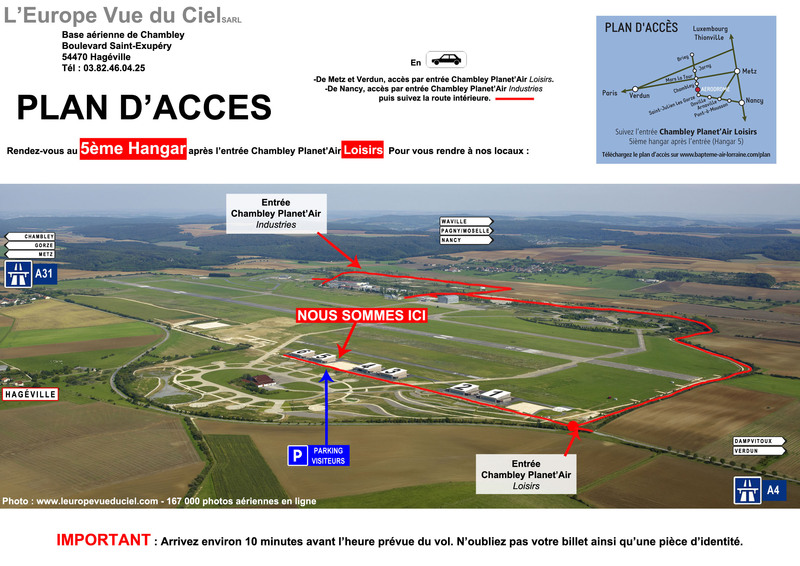 We are located at Chambley Air Base, in the heart of Lorraine France. Chambley is the perfect starting point if you wish to discover from the air places like the historical sites of the First World War, the cities of Verdun, Metz, or Pont-à-Mousson and the valley of the Moselle. At the moment this website is available in French only, but if you are interested you can send us an email in English, we would be very happy if we can help you.